I’m a data nerd; I love reading about interesting statistics and how they compare across the world. And, being said data nerd, one of the trends that I really like is the rise of well made infographics. They have the ability to convey a tremendous amount of information in a small, easily digestible package. 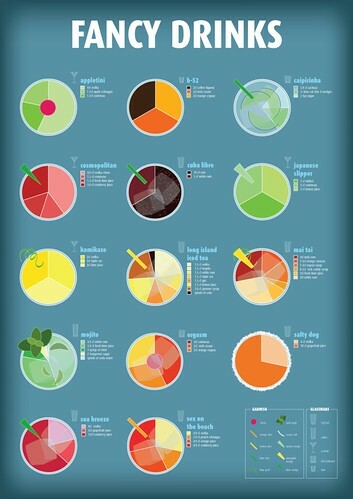 On that note, earlier this week I stumbled across some great cocktail infographics by artist Fabio Rex. 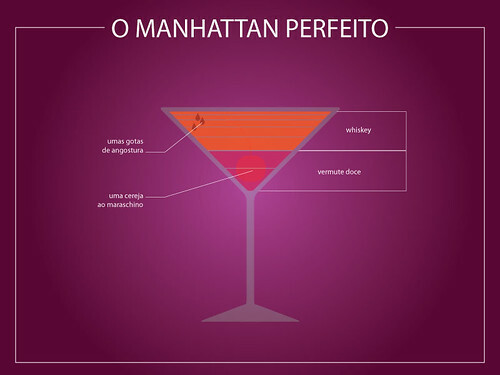 While this isn’t exactly something brand new (I posted about the Engineer’s Guide to Drinks before) they are really well done and visually stunning. Take a look at Fabio’s full set on Flickr. In looking through his other pictures I found a picture of Fabio holding a printed version of his Perfect Mojito. I’m really hoping he’ll have these available for sale at some point in the future. I’d love to put one up in my kitchen.